Our Jordan trip was getting to an end and this was our final day in the country. 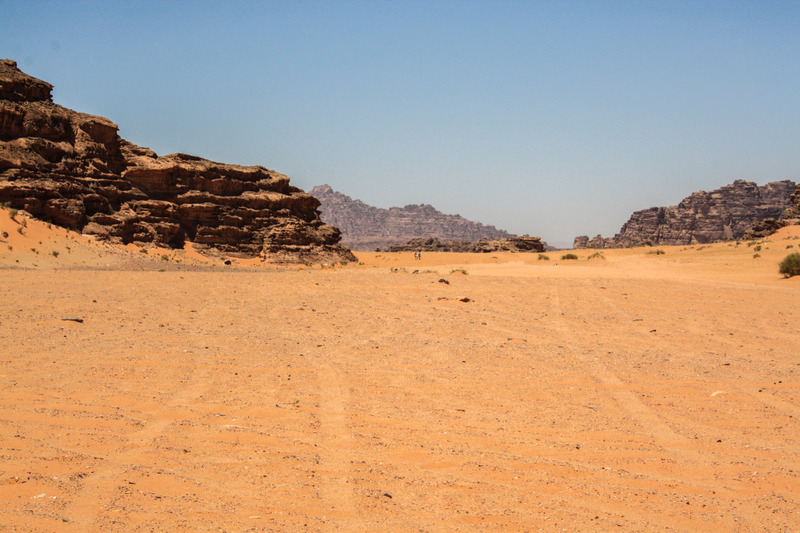 Just when we thought we couldn’t get more pleasant surprises, we went to Wadi Rum! Yes, stunning. 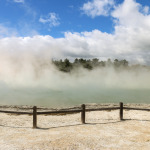 Not even the high temperatures, reaching close to 40 ºC, seemed to be an issue. 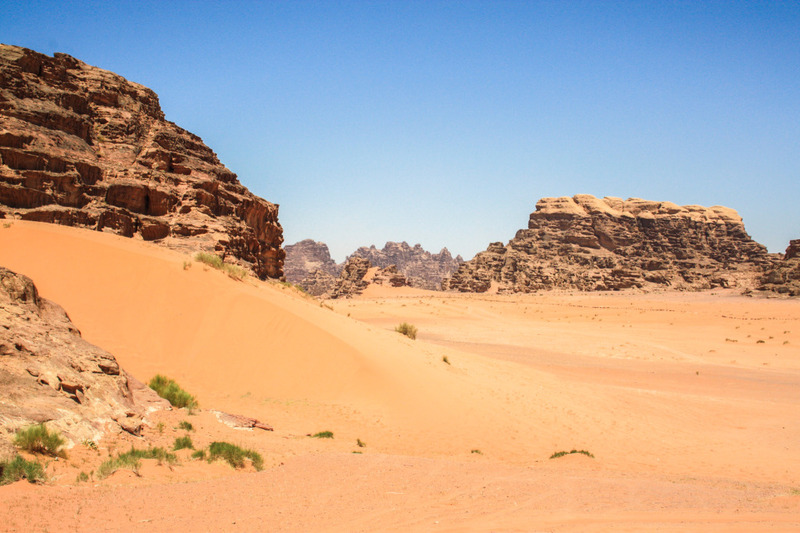 Wadi Rum is a World Heritage valley (Wadi means valley and Rum high) located in south Jordan, where the mountains meet the desert, and includes highly contrasting red sand dunes that make it look like you’re on the moon. The mountains here are the highest you can find Jordan, at around 1800 m. It can’t get more remote or isolated than this. 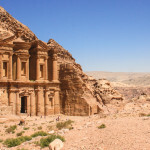 We were doing a half-day trip coming from Petra early in the morning and leaving to Aqaba in the afternoon. Our main stop was at a Bedouin camp that was completely setup for the tourism side of things, with the typical tents, music and food. Bedouins run most of the tourism here. Our guide explained a bit of the history of how they managed to live on these remote desert areas and adapt. 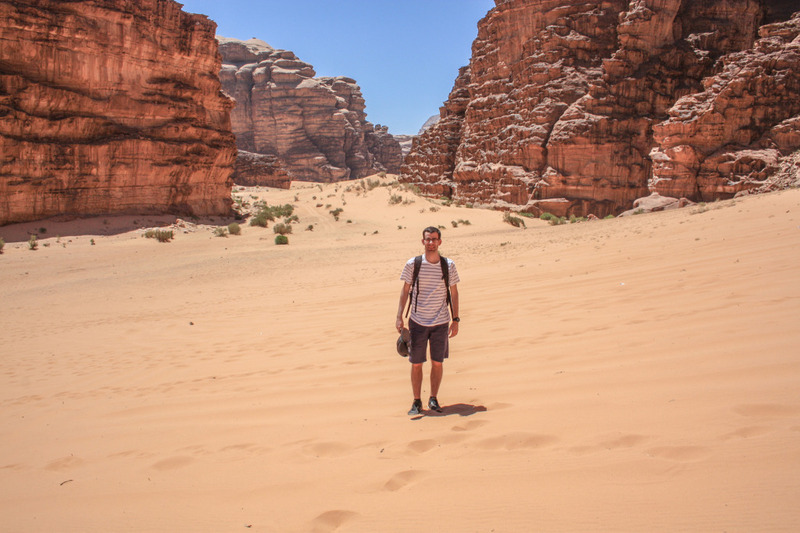 Wadi Rum is quite big and having someone to guide you is a good idea, especially if it’s someone with genuine knowledge of the area like a Bedouin. 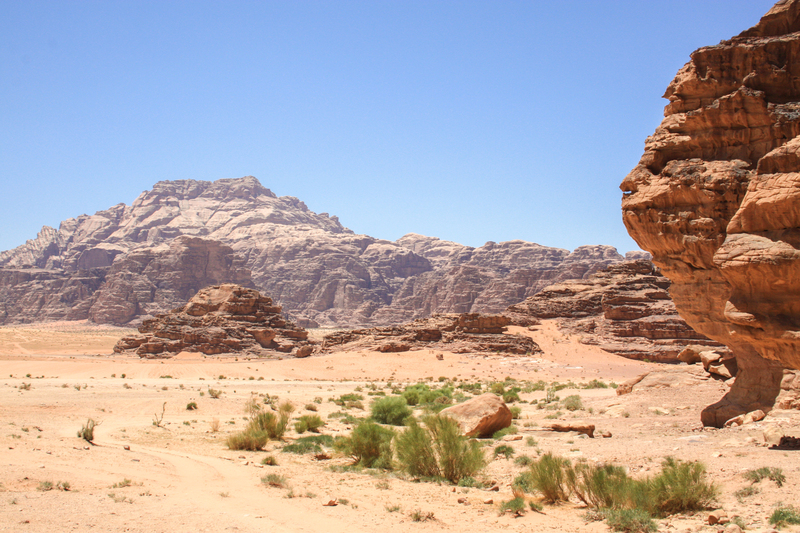 The natural features of Wadi Rum allow for very interesting activities. 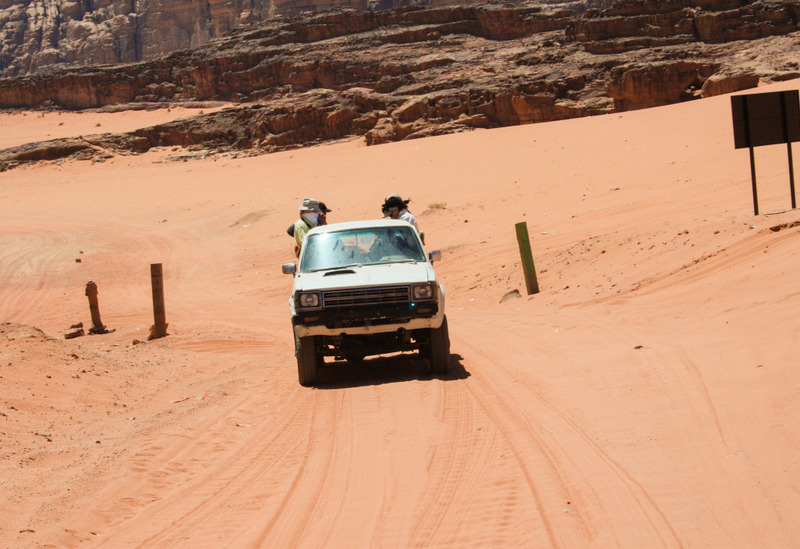 The main ones are jeep tours, camel riding, rock climbing, hiking or sleeping under the stars. Since our visit was a short one we did the jeep tour one for the biggest part of it, which went past some of the main sites in Wadi Rum. 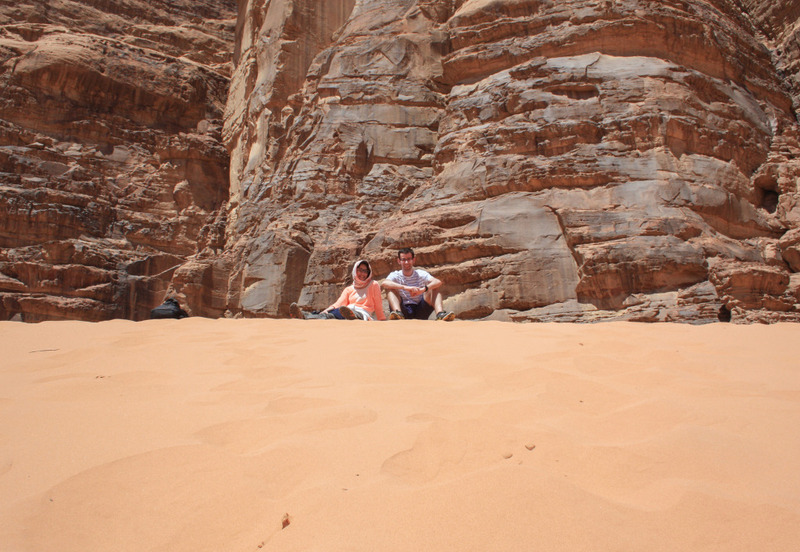 We popped into the back of a jeep and our Bedouin guide took us straight to the desert. Going around the desert the landscape is gorgeous. For nature lovers like us it’s like being at home. Well, not exactly, it’s way hotter than the usual! We kept going around for a while until we made our only actual stop at another small Bedouin camp, next to this big red sand dune. Our group was a small one but still most decided not to go up the dune. We obviously did and it was great fun! It’s a bit tough getting the feet not to go too deep in the sand but still very doable. Walking along the top of the dune was also very nice. We sat for a while before going flying back down. Literally flying. With the speed we went down, it all seemed so easy. From here we wouldn’t get out of the jeep anymore until the end of the tour. We did make some low speed stops to see other places with some detail. We also passed a camel tour on the way. If staying a full day this is usually an option and it will be “offered” to you. 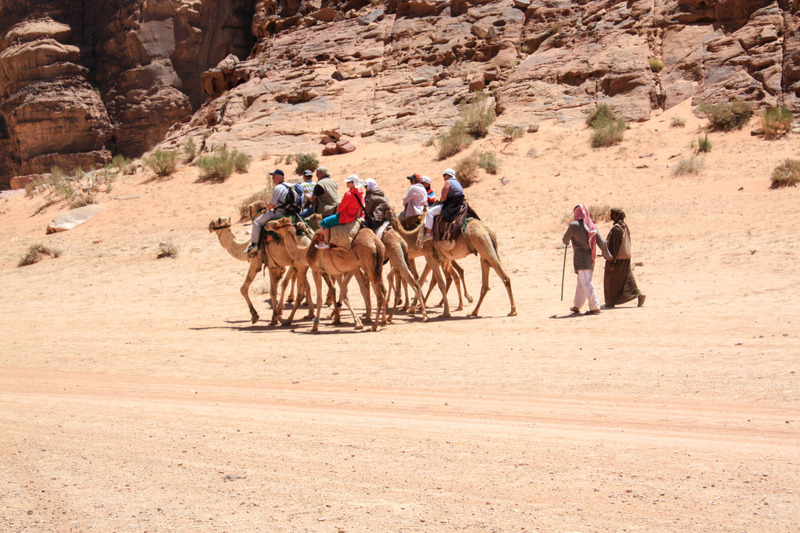 We went back to the Bedouin camp and two of the tour jeeps were racing each other through the desert. Sense? None. Fun? Hell yes. Once at the camp we had a great lunch, Bedouin style BBQ. Some of us left for Aqaba, others stayed for the night to enjoy the stars. This was definitely way too short of a visit. We need more. Next time around we need to go for a hike and explore more of the area from different angles, as it seems to be really worth it! Also, in cooler and more appropriate weather for such activity. 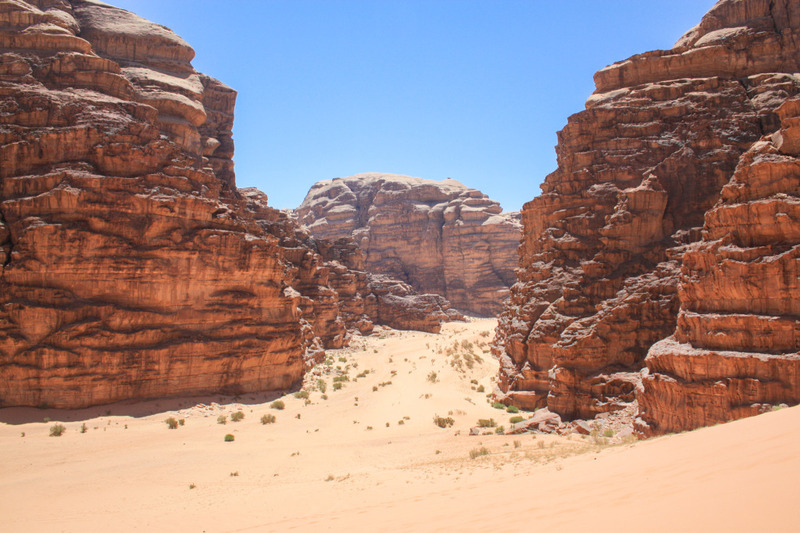 Have you been to Wadi Rum? Let us know how it went and what you did! 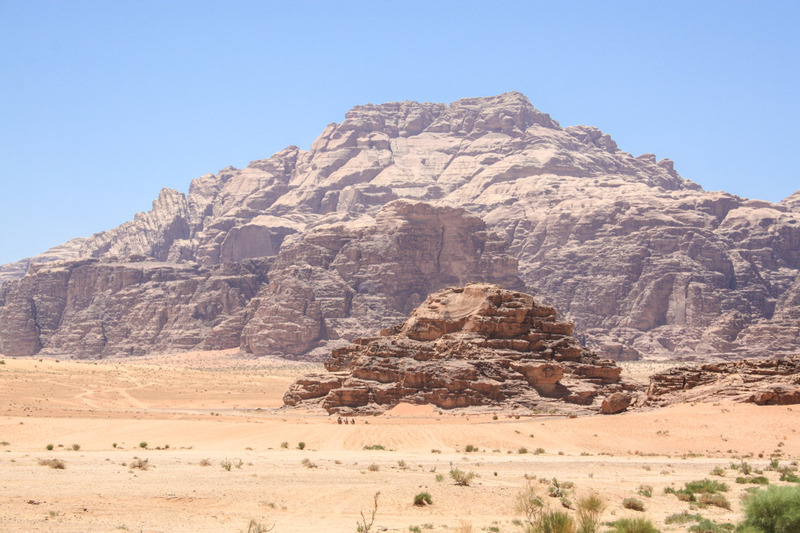 For more information about Wadi Rum and other parts of Jordan, visit the official tourist board: Visit Jordan. 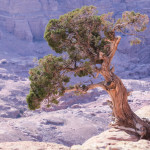 Read our other articles about Jordan!